`He'll be famous - a legend - I wouldn't be surprised if today was known as Harry Potter Day in future - there will be books written about Harry' Minerva McGonagall Strange things always seem to happen when Harry Potter is around. Things that unsettle his guardians, the Dursleys. They strongly disapprove of strangeness. It's only when a letter arrives, delivered by a shaggy giant of a man called Hagrid, that Harry learns the truth that will transform his entire future: his parents were killed by the evil Lord Voldemort, and he, Harry, is a wizard. 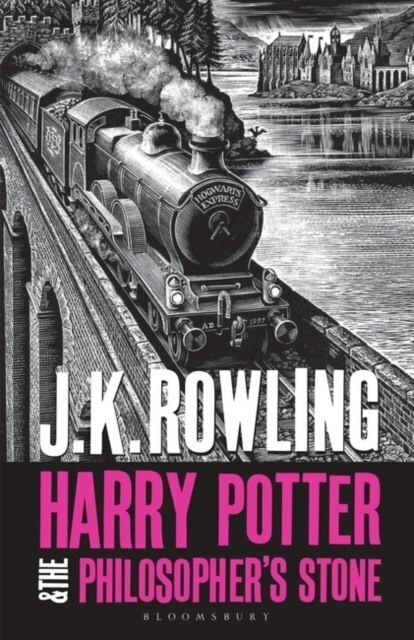 Whisked away to Hogwarts School of Witchcraft and Wizardy, Harry discovers a world of enchantments, ghosts, Quidditch, and friends who will stand, through everything, by his side. But when Harry hears of a stone with great powers, he finds that his school has its own dark secrets - and an adventure that will become the stuff of legend begins.